On Monday, March 21st, the Supreme Court gave the Federal Reserve two weeks to reveal where all the money has gone since November 2008. 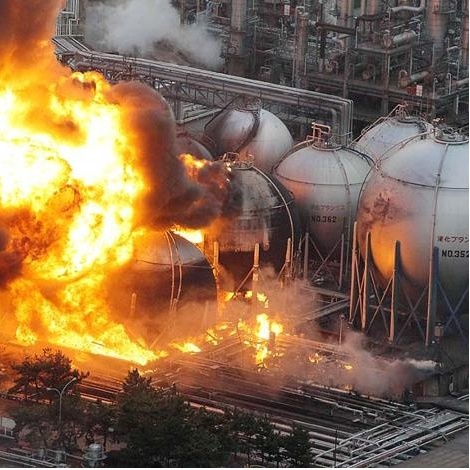 Was the Japan disaster an attack — to threaten the world into submission and hopefully stop the audit? I have been deeply and permanently affected by the Japan earthquake, tsunami and nuclear disaster. We cannot look backward. We must keep moving forward, with the bravery and vigilance necessary to seek the truth — and use it. In October 2003, I did a three-and-a-half-week tour of Japan to promote a limited printing run of my first book The Shift of the Ages in Japanese. I saw many beautiful places in a very short period of time. It was one of the greatest experiences of my life. One of my stops was in Sendai — an incredibly magical and enchanted place. I visited sylvan Shinto shrines there, and I could feel the presence of these ancient epochs of history. The people had allegedly been in contact with benevolent ‘Gods’ who came from Anemono Toribune, or “Flying Boats from the Universe.” Quiet, magnificent temples were built at the exact spots where contact had apparently occurred. No one speaks — but I was allowed to play my Native American flute. Deep. Haunting. Melodious. Honorable. Whispers of ancient promises long forgotten, but never abandoned. Those who had gathered around me were moved to tears. It was extremely difficult for me to see images of Sendai and other Japanese cities having been so utterly destroyed. There is probably nothing left of those beautiful places where I once stood and offered my song to the ancestors of Japan. My heart goes out to the victims of this terrible catastrophe. All my defenses came down. I had to let myself cry. I could not bring myself to watch most of the videos of mass destruction that were being released. The media saturates us with images of disasters when these things happen. After 9/11, I watched the planes hitting the towers, and the towers falling down, so many times that I eventually became numb. In this case I hardly watched anything. And I kept the sound down when I did. Right as this horrific disaster was unfolding, all my final-final deadlines for my book with Penguin had come due. Everything I had worked for, after all these years, had reached its critical moment — and my “child” now desperately needed my full and undivided attention. Despite how overwhelmed I was feeling, and the hundreds of letters requesting I write something about this disaster immediately, I stayed in there and I finished the job. If I had avoided my responsibility, critical flaws would have appeared in the final version. Flaws I had the power to prevent. Flaws I would have to live with for the rest of my life — forever questioning whether I had done the right thing. It was a very tough call — but I decided that the greater good would be served by completing my epic work when it needed me most. I still haven’t had the opportunity to go back and appreciate the finished product with a fresh perspective — as experiencer rather than creator — but I very much look forward to it, as I have no regrets. Looking back now, I do feel that The Source Field Investigations vastly outmatches any other video, article, lecture or book I’ve ever done — in terms of the scope, depth and power of the verifiable scientific material I put together. It presents many new and unprecedented keys to unlock the mysteries of ancient science. We can create the Golden Age so many prophecies foretold… as we move through this period of great difficulty into the wonders that lie beyond. I’m not asking you to believe that a Golden Age will happen after 2012. I spread out the blueprints and show you exactly how we are going to get there. The Ancients left us all the puzzle pieces we need. First we have to find these pieces — which I have been locating and collecting for more than 30 years now. Then we have to sort through them, put the very best of them together, and explore what we’ve got. If we do this thoroughly enough, we can fix all the mistakes and wrong turns we have made in science — for the last 400 years. These mistakes have held us back from understanding extraterrestrial humans and their greatest secrets — free energy, gravity shielding, instantaneous healing, stargate ‘portal’ technology — both natural and artificial — and time travel. Nothing is outside our grasp once we understand how the Universe really works. The Golden Age that awaits us is beyond the capacity of most people’s ability to even imagine. We do have some significant difficulty to work through before we get there — but I believe we’re moving through some of the worst of it right now. That’s why I took the time to write this article for you to read, think about and consider — rather than a small, insignificant update or teaser. Japan was a reality. Not special effects. Not CG. Not a movie. Real people. Real suffering. I can’t change the fact that it happened. All I can do is look within myself. If I like what I see, that’s great. If not, I can change it. As I raced to finish the book, I also spent time in deep meditation and really crystallized my focus on who I am, why I am here and what all of this really means — both for myself and for humanity. Right after the Japan disaster, rapper 50 Cent was widely chastised for writing a series of insensitive ‘tweets’ about what had happened. Many people feel the need to make jokes in order to process such an overwhelming tragedy. ARE WE GOING TO BE O.K.? 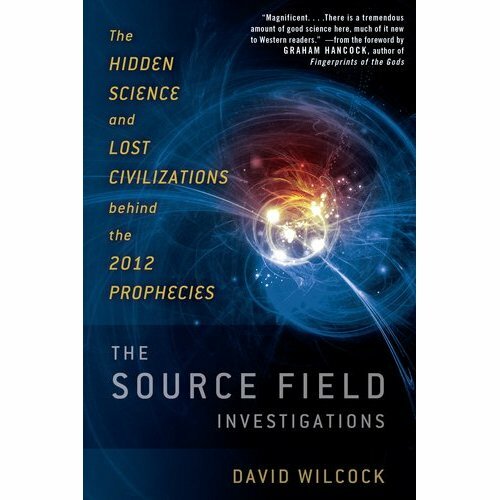 What do the 2012 prophecies really foretell? Was Japan just a brief glimmer of something that will soon be much worse? Is there any Divine power in the Universe that is looking out for us? Or, were all these ancient prophecies merely intended to give us plenty of advance notice of when we were all going to die? I believe there is great significance to the 2012 prophecies — and it goes far beyond the limited, myopic “doom and gloom” perspective that is so rampant on the Internet as well as in mainstream media. In fact, the science I present in The Source Field Investigations, as well as my upcoming Hollywood film CONVERGENCE, emphatically proves that the worst thing we can do for the Earth — and for our own future — is to indulge in fear and paranoia. A new disaster like this only further emphasizes the importance of using the knowledge we have — and seeking our own answers rather than relying on blind faith. However, before we discuss the potential significance of this event, and its implications, many people are obviously very concerned about the potential of radiation poisoning — and / or additional catastrophes that may take place. On a physical level, no one can be sure of anything. That’s what is so scary right now. Do we really know if they will be able to cool down all the reactors? Unfortunately not. However, I do believe there has been a great deal of irresponsible fear-mongering on the Internet, as always. On a metaphysical level, I published a prophecy on this website that something as big and as scary as the BP oil spill was about to happen — imminently — but that we would indeed get through it. Like the BP oil spill, I said that this event would scare the crap out of everybody, and lead to all sorts of paranoia and fear. Two weeks later, this prophecy came true. I have eighteen years of experience writing my dreams down every morning and analyzing them. I have had hundreds, if not thousands of stunningly accurate prophecies come through as a result of this practice. My point in telling you this is not to brag about psychic ability. Those who wish to snicker and laugh do so out of fear and sorrow, which they may not even be fully conscious of — and hardly anything, short of a jarring event of this scope and magnitude, will convince them to change their opinions. The prophecy clearly said these events will not destroy the planet. Instead, they may be one of the final trigger-points we need to generate a mass, worldwide spiritual awakening — and a final defeat of the negative forces that have been strangling us. In this case, I only published a handful of dreams from a much larger mosaic of data that has been coming in since at least 1996 — giving me a wide variety of clues about the events that are happening right now. When I write you these articles, I am drawing off of that entire mosaic — not just the few isolated pieces I happened to publish before certain parts of the overall vision came true. That mosaic of data also includes the testimony of a variety of real-world ‘insiders’ who have established trust and credibility with me — and have consistently passed along useful information that later proved verifiable and correct. I published the prophecy on February 23, 2011 — just two weeks before the quake, tsunami and nuclear disaster. About 45,000 people read it on my site before the event actually happened — and you may have been one of them. In order to avoid sensationalizing my prophecy, I called the article “Bouncing Back from Hack Attack” — a playful combination of my recovery from a month-long, hacking respiratory virus as well as two very nasty and very powerful cyber-attacks to our website. The coughing was from fatigue — due to how hard I was working to finish my book. The cyber-attacks involved thousands of different computers, each with unique IP addresses, overloading our server with massive numbers of ‘hits’ per second — for days and days on end. Their goal is to make the site load so slowly that no one can get in. Ultimately it groans and crashes. Apparently after the server has been partially destroyed — we literally lost two hard drives due to overheating in the first case — normal security protocols may not work the same way anymore. They then have a chance to gain access and rewrite the website, using the server components that survived. This is why we found files attempting to transform Divine Cosmos into a trap for unwary travelers to buy watches, handbags and gold at allegedly very cheap prices — only to get redirected to a foreign, unsecured site that attempts to steal their credit card. We have taken drastic, time-consuming and expensive measures to build a far more bullet-proof system as a result, and have had to accept certain sacrifices in the process — such as a much faster cutoff time once I’ve logged in. After I wrote the prophecy and the quake actually happened, a third massive attack hit our server during our Dallas Convergence — in the immediate aftermath of the disaster. Once again, this knocked us out of service — and it took us nearly a week to rebuild the website. Even if I had the time to write about Japan, I could not. One wrong move in the rebuilding process could quickly collapse us all over again — so it was very difficult work. Each one of these attacks started while we were doing a conference — where we had the least available time to address it. And, in each case, dire-sounding messages like “Account Suspended” appeared on our site, and nothing else — sometimes for days at a time — triggering conspiracy theories and gossip on the Internet. These attacks appeared to be the work of foreign credit-card thieves — but now that so many of the things I’ve been telling you about are coming true, almost faster than I can write them up, I’m not so sure that’s all there is to it. Given the precise timing of the attacks, whoever is conducting them is clearly paying specific attention to us — which seems to be more trouble than spam-oriented hackers would normally go to. It would make sense to disguise a high-level ‘insider’ attack as if it were merely foreign con artists trying to make a buck. Thankfully, we were not financially damaged by the down-time and have now built a much stronger, faster system. Here’s what I posted on February 23, 2011 — having no idea whether any of this would come true or not. All I knew was that the dreams were so strong that I would be a fool not to say something — given the accuracy I have experienced so many times before. In this case I have extracted the most pertinent parts of the written prophecy — using three periods at the beginning or end of a sentence to mark the cuts — and bolded certain sentences for emphasis. I must confess that I have had some very, very intense prophetic dreams lately… and another one this morning. Typically I don’t write about these dreams until after I see what they are leading up to — but in this case, I have had such a cluster of them in a short time that I do think something may be fairly imminent. [In the third of these dreams,] the scope of damage [I saw] was vast. It had all the hallmarks of the Gulf disaster, only this time it was on land. …The message, as always, is to prepare but not to panic. One consistent element of these dreams is that things look bad but there are miraculous ways to get through it that are not visible while it is happening — at least not to most. I had the same data during the BP oil spill while everyone was shouting “doom and gloom” on the Internet. I expect that whatever is about to happen will also make people think and say the same things. Ultimately, this is all part of what we have to go through to pave the way for a better, brighter future. The negative will not go down without a very hard fight. It does seem that events are reaching a “critical mass” and the next phase is going to hurt, but will be necessary for us all to go through. The public is very rapidly becoming aware, on a worldwide level, that highly negative forces exist on Earth — and are manipulating governments, militaries and corporations behind the scenes. Fear provides a very effective shield against taking this truth in. When you get close to it, if you’re not ready for it you feel deeply tired and depressed — barely able to keep your eyes open — but then as soon as you do something else, you’re fine. You may also find yourself attacking, shaming and humiliating those who would offer you the information. It’s much easier to villify a convenient, local target rather than contemplate a vast, seemingly unstoppable evil. However, as we move through great tragedy and grief in our lives, we become emotionally sober enough to see the world for what it really is. That may be the single most important reason for why any of this has to happen in the first place. The malevolent attitude and behavior of Hitler and Mussolini did not disappear after World War II. It now appears to be quite common within certain circles — although it became far more carefully concealed after the mid-20th century. These power groups also came in contact with undeniable proof that we are not alone in the Universe — at least since the 1940s. Many credible witnesses and insiders have verified that the Roswell crash was real — and live ETs were recovered. I do feel that anyone who still refuses to believe that intelligently-piloted, super-advanced spacecraft are operating in our skies is suffering from an anxiety disorder — and should therefore be treated with compassion. In my opinion, the most useful and far-reaching ‘response’ to this cover-up happened from 1981 to 1984 — where a dialogue between Dr. Don Elkins and an allegedly extraterrestrial intelligence calling itself ‘Ra’ took place over the course of 106 sessions. My new book, The Source Field Investigations, validates hundreds of specific, scientific points in this “Law of One” series — and dramatically expands upon and enhances what we started with in many cases. Thankfully, after all this work, it’s going to be out there for everyone to read as of August 18th — and can be pre-ordered right now. The science stands up so well on its own that I don’t even mention the Law of One series until the Acknowledgements section at the very end — but Law of One students will have a much easier time with the material if they read this book first. The Law of One series also offers a richly detailed cosmological view — where One Infinite Creator divided itself from “intelligent infinity” into “intelligent energy,” which in turn has formed the building blocks of the Universe as we know it. If true, this would mean that everything is alive. Everything is sacred. Everything has purpose. In 1981, Ra said this cycle would end in “approximately 30 years” — and later confirmed the year 2011 as being “an appropriate probable / possible time” for when we would reach the “quantum leap,” as they called it. The Mayan Calendar was never mentioned. Nor was the year 2012. Nor was the Age of Aquarius. In 1981, hardly anyone even knew about the Mayan Calendar end-date — but the timelines still matched up. At the end of this cycle — which is directly tethered to measurable movements of the Earth, Sun and Galaxy, as I have now proven — we have the opportunity to “Graduate,” and evolve into a higher form of what it means to be human. All the greatest tricks you’ve seen anyone do in movies will soon become commonplace — for those who are ready to step into it. We are told that the Earth is actually a vast school for spiritual learning — maintained by very high-level ETs whose job is to insure that you will find whatever you seek — whether positive or negative. Ra’s message, which included the physical gift of the Great Pyramid, was apparently co-opted by negative extraterrestrial humans. These ‘Gods’ manipulated the Egyptian priesthood, many thousands of years ago, into creating a hierarchical, occult and self-serving system that amounts to a highly sophisticated form of black magic. This was not Ra’s original intent at all. At the very beginning of the Law of One series, Ra apologizes for having inadvertently and naively created the “negative elite” — or what most people would now call the New World Order or Illuminati. Due to the free will principle, or “first distortion of the Law of One,” as it is called, these negative forces have to be allowed to cause suffering, pain and even mass death here on Earth — within certain limits. However, the part that so few people understand is that the negative elite are actually kept on a tight leash. They can only do what they are allowed to do — as a direct mirror of the negativity that we are creating as a people on this planet. This is another area where the new research I’ve done is really a game-changer. Though they have preserved the knowledge of this cycle and believe it will lead to a worldwide cataclysm, they have been strongly misled. The oldest prophecies that speak of this cycle change are from the Zoroastrian tradition. Zarathustra, whose name was Westernized as “Zoroaster”, copied over ancient records from the primordial Aryan civilization. In The Source Field Investigations, I cite compelling evidence that the hub of this civilization was originally located in Siberia before the last great Ice Age. This Ice Age, where the land was suddenly overrun by glaciers in a very short period of time and sea level rose by as much as 300 feet, appears to have been the result of a pole shift — where tropical areas suddenly became polar regions. Atlantis, originally an “island continent” surrounded by water, became Antarctica — and all the water that washed over it was quick-frozen into ice. Some of the insiders I have spoken with have told me that most of the remains of Atlantis were crushed under this massive weight of ice — but there are certain pockets where you can still find some very neat stuff. In the Law of One series, the Atlantean cataclysm is directly blamed on the use of nuclear weapons — not on a natural Earth cycle that was built into the design of the Universe to wipe us out. It appears that the world’s elite are unaware of this, and believe that the Earth intends to kill us off at the end of a cycle as a natural part of what happens. They see this as proof that their negative, every-man-for-himself, Deist philosophy is in fact the way the Universe works. They are eagerly awaiting what they think is going to be a massive catastrophe that destroys almost all life on Earth — unless you’ve hidden out in an underground or off-world base. The movie ‘2012’ lays out their plans for how they think this is going to happen. Watch the end-credits all the way through and you will see that the movie was based on “Fingerprints of the Gods” by Graham Hancock, which was about Atlantis. They absolutely believe that whatever happened to Atlantis is a natural cycle, and it will happen again in or around 2012 — perhaps closer to 2017, based on what some insiders have told me. Others disagree with this and think it is indeed 2012. Plato’s original account of Atlantis formed the basis of everything else that followed. It has given irreversible credibility to any discussion of “the A word,” particularly in light of all the physical evidence of massive stone structures that were left behind. Plato’s report clearly indicates that the Atlanteans were at war with a rival civilization. The Cayce Readings said this civilization later migrated to India, but in ancient times they were called “Rama”. The so-called “Rama Empire” of Northern India and Pakistan developed at least fifteen thousand years ago on the Indian sub-continent and was a nation of many large, sophisticated cities, many of which are still to be found in the deserts of Pakistan, northern, and western India. According to ancient Indian texts, the people had flying machines which were called “Vimanas.” The ancient Indian epic describes a Vimana as a double-deck, circular aircraft with portholes and a dome, much as we would imagine a flying saucer. It flew with the “speed of the wind” and gave forth a “melodious sound.” There were at least four different types of Vimanas; some saucer shaped, others like long cylinders (“cigar shaped airships”). In Plato’s account, the people of Egypt and Greece united against the Atlanteans, who were trying to colonize their land — and fended them off. Shortly after this defeat, Atlantis sank — but the Egyptians did not know why. I want you to read the whole story for yourself — as it was originally written in the Timaeus. And when the rest fell off from her, being compelled to stand alone, after having undergone the very extremity of danger, she defeated and triumphed over the invaders — and preserved from slavery those who were not yet subjugated, and generously liberated all the rest of us who dwell within the pillars. Plato got in serious trouble for ‘leaking’ this secret account of Atlantis from the Egyptian priesthood. Ever since he wrote it, scholars have been hunting for proof of Atlantis and have tried to understand exactly what happened, and where it was. The Cayce Readings and the Law of One series, when combined, give us new insights that dovetail nicely with provable evidence we can dig up through research. According to the Law of One series, Atlantis sank because of a nuclear attack — not a natural Earth cycle. The Cayce Readings imply a similar story… and given the reliability of the Law of One series in so many other areas, I’m inclined to think it is correct. Soon after Egypt and Greece fended off the Atlantean invasion, the Ramans dropped nukes on Atlantis in an attempt to defeat them and force them to surrender — similar to how America ended World War II by nuking Japan. There are several obvious references to the use of nuclear weapons in the Hindu Vedic scriptures — which are easily found with a quick Google search. Instead of winning the war, the Ramans threw the Earth into an unimaginable catastrophe — and ruined it for everyone. No one could have imagined that nuclear weapons would be powerful enough to shift the Earth’s equilibrium in space, causing tropical regions to become polar — and vice versa. These original ‘Aryans’ were not Caucasian at all. As ice swept over the former paradise of Siberia, they migrated southwards in two groups — one to India and one to Iran. The latest, greatest scholarship on the Aryan civilization pinpoints Siberia as their main center of origin — and the Zoroastrian scriptures clearly say they had to evacuate and move south due to the sudden crush of ice and terrible winter weather. It appears that ‘Gods’ continued interacting with the Indians — which is not necessarily a bad thing. The original teachings were almost certainly given before the Ramans nuked Atlantis. I highly doubt the positive ETs had anything to do with this horrific attack — and would have stopped it if they had caught it fast enough. Now, the ETs are being vastly more careful, and precisely monitor any and all nuclear sites on Earth — as I have written about in detail several times before. Many disasters have been stopped. According to scholars, the Zoroastrian prophecies influenced every other Western culture and its view of what will happen in “end times” — including Judaism and Christianity. Without exception, every Jew, every Christian and every Muslim owes their vision of an End of the Age to the Zoroastrian inheritance — not to mention any and all of the secret mystery schools. Unfortunately, like the “telephone game,” the story has been significantly changed over time. In The Source Field Investigations, I cite breathtaking new research into the original Zoroastrian scriptures by Boyce and Grenet, which conclusively proves that the original prophecies did not say the world would be wiped out by this cycle change. Using new data that only became available in very recent times, Boyce and Grenet identified that this “doom and gloom” element was originally added in by the early Hebrews. Boyce and Grenet feel this probably was the result of their imprisonment and enslavement by the Egyptians — and how that horrible suffering in turn affected their view of future events. It is also easy to see how anyone in possession of the secret story of Atlantis could assume that the cataclysm was caused by this same cycle — and not through the use of massive weapons that couldn’t have even been imagined in those times. This same mistake persists through until the present day — as seen by the creators of the movie 2012 optioning the rights to Graham Hancock’s “Fingerprints of the Gods,” which was about the fall of Atlantis. This seems impossible to most people and undoubtedly triggers sarcastic laughter — but this will also change once people study the “Magnificent” scientific evidence I present in the new book — as Graham Hancock called it. This massive ‘download’ of information comes out in a gorgeous hardcover book on August 18th, and is already available for pre-orders — at a much lower price than retail! My publisher tells me that if a mere two days’ worth of the people who visit our site pre-order this book before August 18th, we will automatically debut on the New York Times best-seller list. No… this is about making our voice heard, and getting this information out to the mainstream. It’s about credibility. This book takes you far beyond any Disclosure involving a formal announcement that ETs exist. It is an awe-inspiring summary of all the science that has been suppressed by the negative elite — for at least the last century. You can lock it in now at this super-low price anyone can afford, forget about it, and know that it will deliciously arrive in the mail… at the earliest possible second that it becomes available. Thank you so much for helping us out! Everything I’ve ever said in any of my lectures or videos is in here, with extensive documented references — plus much more that no one has ever seen or heard. There is no doubt that the Zoroastrian texts predict a major energetic event. However, it is also clearly spelled out that it does not wipe out the Earth in cataclysms. Furthermore, these scriptures clearly indicate that the negative will be defeated — not in one sudden, stunning blow, but gradually weakening more and more until they finally just give out. I believe that prophecy is about to come true — and may even have been fulfilled, to a large degree, before the book comes out. This is one of the most exciting articles I’ve ever written, because everything I’ve been telling you to expect for so long is finally happening. Japan was a terrible disaster and we can’t change that. However, if you think this is just going to go on and on, I believe you have missed the point. The negative elite are on their last legs — and at this point, there are remarkable news events that prove everything I’ve been saying is correct. This means it is very likely that we are about to see the perpetrators go into hiding — and whenever this happens, it will be quite a massive change in society and government as we know it. They believe it will create anarchy and chaos. I personally do not. Nonetheless it is good to have some stored food and water on hand so you can be prepared for the worst, just in case. The insiders say to be ready for six months. I highly doubt there will be disruptions of anywhere near that length. However, if you end up in an area where there are short-term problems, obviously it’s good to have some basic supplies at home. I don’t like dropping dates, but April 8th is going to be a very, very interesting day. This has gotten a bit long, so I will save the bulk of this argument for an update that will emerge by or before this date. SUPREME COURT RULES AGAINST THE FED: The Supreme Court has given the Federal Reserve a two-week deadline to reveal where the money went — as of Monday, March 21st. This decision is one of the most significant events in American history. That brings us to April 4th — four days before the 8th. GOVERNMENT SHUTDOWN: The Democrats and Republicans in Congress cannot agree on a budget. The US government will therefore shut down as of April 8th — and there is no indication anyone will stop it. That means no paychecks, no services, et cetera — for an indeterminate time. NEW BRETTON WOODS: On this very same day, the first meeting to completely overhaul the world’s financial system will take place. Other countries will now have much more of a say. This is the literal fulfillment of everything Fulford and I have been saying for so long. This will create a massive wave of prosperity and directly pave the way for the release of clean, ‘free’ energy technology. The final ‘endgame’ plan of the insiders, as I understand it, is to hit the US with a massive earthquake along the New Madrid fault line during the same approximate time that the government goes into shutdown. Then, they hope, all the welfare recipients and government employees stop getting their money due to the shutdown. Society quickly disintegrates as all the services stop happening. Meanwhile, the perpetrators flee, or have already fled the country. I’m frankly amazed the conspiracy media hasn’t put all this together yet, but they will soon enough. We’ll get to that in Part Two. Suffice it to say I do not believe these events will unfold as they are planning. I think it is very important to understand that the majority of the people in these negative groups are only cooperating because they have been forced to. I know some of them myself and am aware of the horrors they have been subjected to. Did we blame every German for the actions of Hitler and his cohorts in World War II, and hold each of them equally accountable? Recent dreams have again indicated that many people will not share this view, and will react with fear and violence — at least at first. I do not judge or condemn you if you’ve been involved in this. You have a safe place here and will not be hated or criticized. Your leaders have lied to you by making you think that if there is a God, you would be rejected. I am personally aware of what you have been through. I am sorry about what happened to you. And I want you to know there is a way out of this that doesn’t involve you being tortured like an animal. There is abundant evidence that the “negative elite” have been trying to collapse the Earth into worldwide anarchy, chaos and pandemonium throughout the entire 20th century, and on into today — but somehow it just never works out that way. They still don’t understand that they get their marching orders directly from the people. They are only allowed to create negativity to a degree that is sufficient to balance what We, The People create within our own lives. The Law of One series tells us our lives on Earth are part of a vast illusion. It is so carefully maintained that even these great worldly powers — with time-traveling technology they got from ETs and other neat toys — are completely unaware of the fact that their plans can never succeed. If you could see things from Ra’s perspective, you would understand that ultimately there is no drama. There is no crisis. There is no conflict. There are no paradoxes. There is only ‘catalyst’, as they call it — experiences that we will be offered to the exact degree of precision necessary to open our hearts and awaken our minds. We live in a spiritual reality. Everything we think, see and do is being scrupulously monitored and studied by a greater aspect of our own selves. Your “Higher Self” already exists now — in what you would think of as the future. It is millions of years more advanced than the level you appear to be at now. Nonetheless, since it exists in a reality where time is not confined to a linear progression, it works to guide you through your life. Dreams are one important way for your Higher Self to get a message through. At other times, the world itself follows the language and logic of the dream plane. Disclosure — the concept of extraterrestrial humans being formally introduced to us — would definitely represent an irreversible tipping-point in our planet’s history, where many apparent dreams suddenly become vividly real. He has also been saying, for two years, that Japan was being threatened with earthquake weapons that would trigger a nuclear disaster — because Japan cut off the flow of money to the Rockefeller faction that has been in place since Rockefeller money was loaned to them, at an exploitive rate, to rebuild their country after World War II. Now do you see why I’m so excited about what is about to happen? The story goes much, much farther than this — but right for now, I just want to get this preliminary summary out there. The rest will follow as soon as I get the chance. You can be with me on April 8th in San Francisco — and get live updates as they come in about what, if anything, happens. We also have a major event coming up in London — so if you are in Europe, this is your big chance! The Access Your Higher Self video gives you a nearly four-hour course in how to remember, analyze and understand your dreams, and develop your deepest psychic abilities — using the same protocols I developed myself. Many people have jumped in and feel it is well worth the price! Thanks again for all your support. Look within your heart and you will find the answers you seek. This entry was posted on March 27, 2011 at 8:29 PM	and is filed under Conspiracy Archives, Earth Changes, Economic Upheavals, Exopolitical Interventions, Exopolitics by Ed Komarek and Others, Geo-Politics, Pollution, The Esoteric Agenda of Humanity. Tagged: asia, CBS News, David Wilcock, Earthquake, Federal Reserve System, japan, Sendai, United States. You can follow any responses to this entry through the RSS 2.0 feed. Both comments and pings are currently closed.